Holiday Gift Guide: Must Have Clothes for Plus Size Disney Fan | What's the Point? As a teenager who had difficulty finding clothes that could fit, prior to the dawn of internet shopping, Torrid was like a breath of fresh air. Torrid is "the destination for trendy fashion and accessories for sizes 12-28. They not only have a robust website, they have an amazing amount of stores across the country. While I do believe I've "outgrown" (age wise, not size wise) the Torrid demographic, their Disney is perfect for kids of any age! Click on the Disney section of Torrid.com to find (wait for it) 97 items for sale. Below I outline some of my favorites. This Disney Collection Cinderella Castle Sweater is the perfect gift for the fall. This comfy knit sweatshirt is perfect for wearing to the parks in December and January, when whether ranges from the 40s to the 70s, depending on your luck! The design is adorable and doesn't scream "children's movie" and I'd be happy to add this to my collection. Sizes range from L to 6X and it retails for $54.50. Visit Torrid.com for more details. Are you a fan of Disney villains? Then Torrid has plenty of fun items to add to your collection. 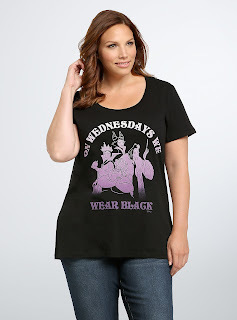 Not only do you get a fun tee shirt with your favorite Disney villains - Ursula, The Evil Queen, Cruella de Vil and Maleficent - but you also get Mean Girls jokes! These villains aren't wearing pink though, they're wearing black. Add this tee to your collection for only $34.50. Sizes range from L to 6X. These days I'm all about comfort...and I'm longing for my old pregnancy pants. What's the second best item after pregnancy pants? Leggings! The third? Pajamas! Both of these items retail for $38.50. The Mickey Mouse laugh chemise is cute and comfortable. It comes in various styles and patterns and is available in L through 5X. The leggings are currently only available in large, but normally go up to 6x. I know. I was thinking the same thing. A Disney dress? Not likely to be cute. But honestly, if I hadn't mentioned this in a Disney post, you likely wouldn't have even realized that this was a Disney-inspired outfit! I just purchased this for my son's Mickey Mouse-themed first birthday party and I absolutely love it! This Disney Mickey Striped Skater Dress retails for $58.50 and is available in sizes L to 6X. While these items are amazing they are just a few of my favorites. 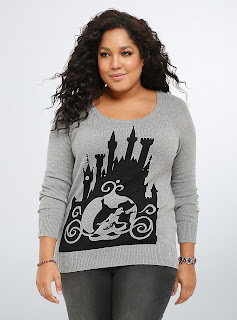 Go explore Torrid for more amazing plus-sized Disney-inspired clothing. 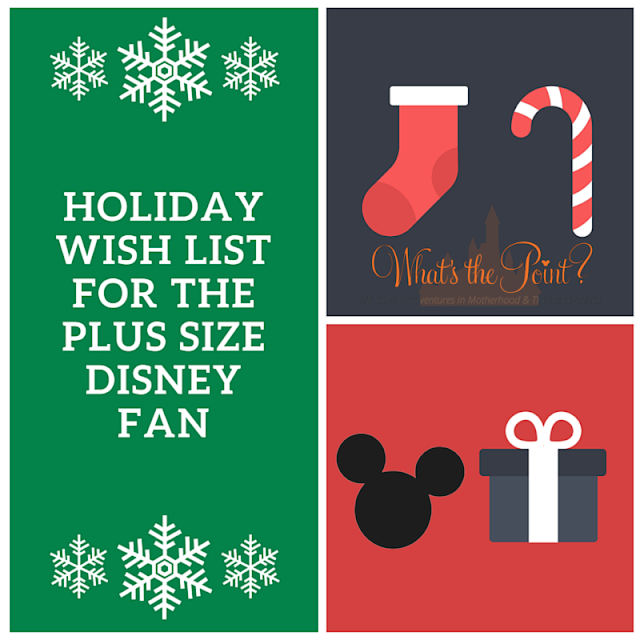 Do you have a favorite place to get a plus sized Disney outfit? Let me know in the comments section below. You will find all of these items on my Pinterest board. Stop by! Follow Rosanne's board Disney Fashion for Plus Size Women on Pinterest. For more holiday gift options, check out the other great posts from the Blogorail!